Before visiting Memphis for a conference we had never really given the city much thought. Sure, we drove through several times on our way to or from other destinations. We even stayed there once because it was a convenient stopping point for the night. But, we’d never even considered staying for a few days to see the sights. I knew that there was some significant music history in Memphis. And that it is known for some great barbecue. But, honestly, it was still just a good place for us to cross the Mississippi River. Wow, were we missing out! 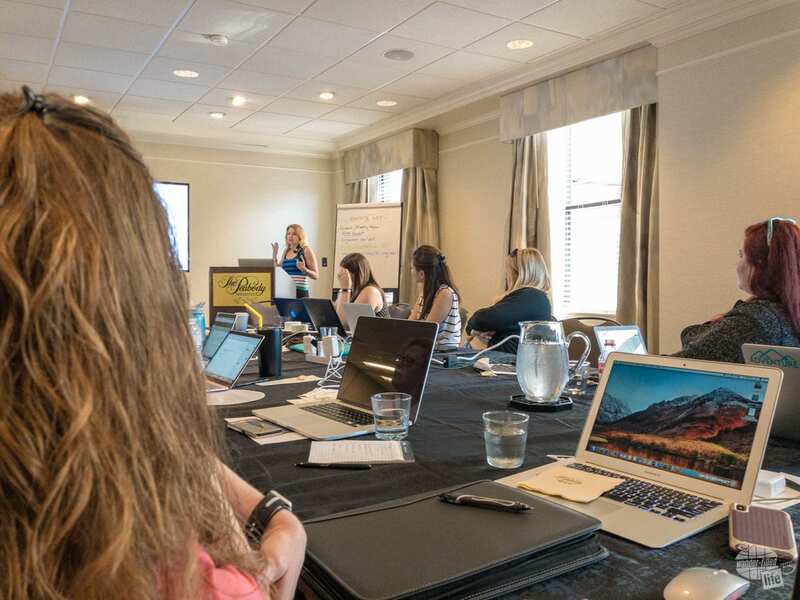 Bonnie and Grant, among other bloggers, listening to Lisa Lubin during the Bloghouse Memphis conference. We learned a lot at this conference and got a great taste of Memphis. Our conference gave us A Taste of Memphis. Mostly, it was a literal taste of some amazing food! But, we also were able to see a few sites such as Graceland and the Big River Crossing. And while we left absolutely stuffed, we were hungry for more of Memphis! Thankfully, the folks at Memphis Tourism welcomed us back and helped us see the sights and enjoy the city. 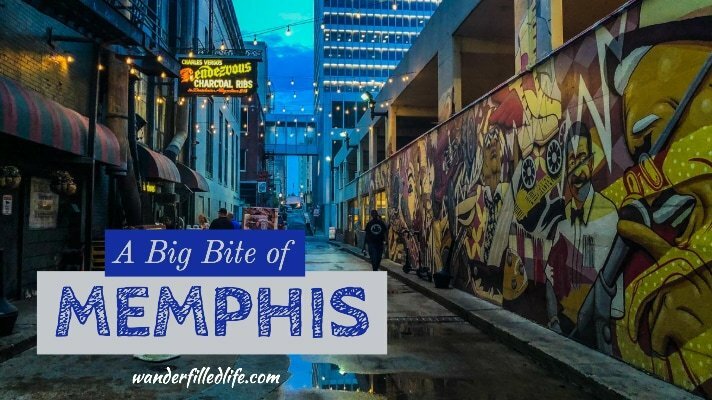 Now, we share with you our Big Bite of Memphis, which covers things to do, what to eat and where to stay. 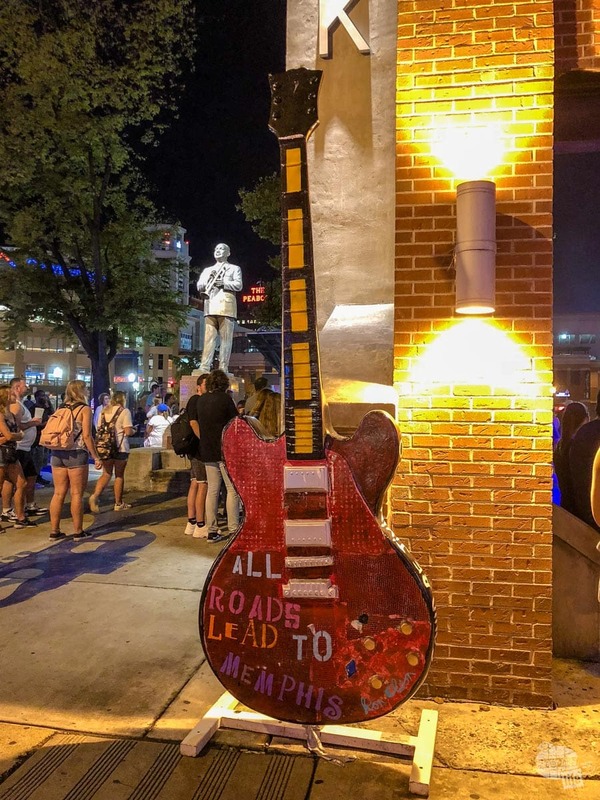 As the Home of Blues, Soul and Rock-n-Roll, many of the attractions in Memphis are centered around music. From music history to live music, recording studios to Halls of Fame, there is something for everyone. Elvis got his start here in Memphis and is a big foundation of the music scene. 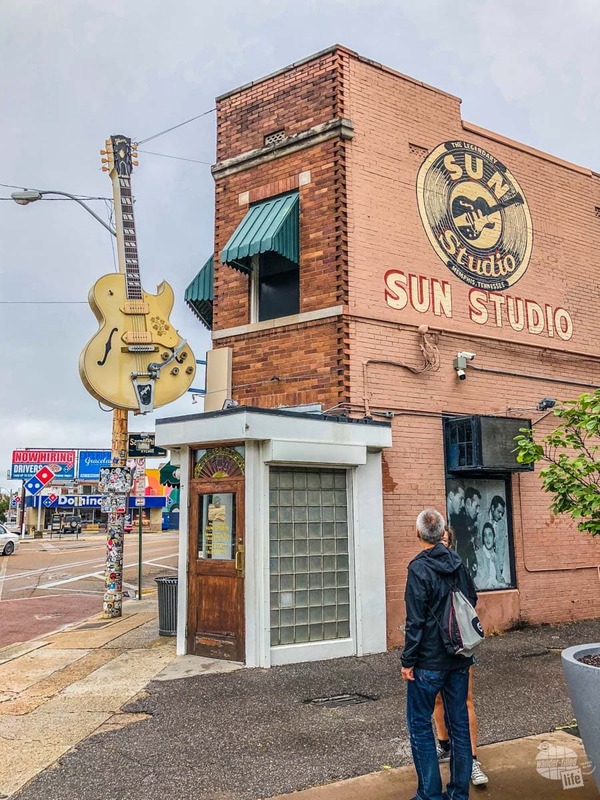 Memphis may be the home of Rock-n-Roll, but Sun Studio is its birthplace. Seriously, Sun Studio is not just any recording studio. It is where Elvis Presley, B.B. King and Johnny Cash got their start (among many others). Sun Studio, legendary recording studio. 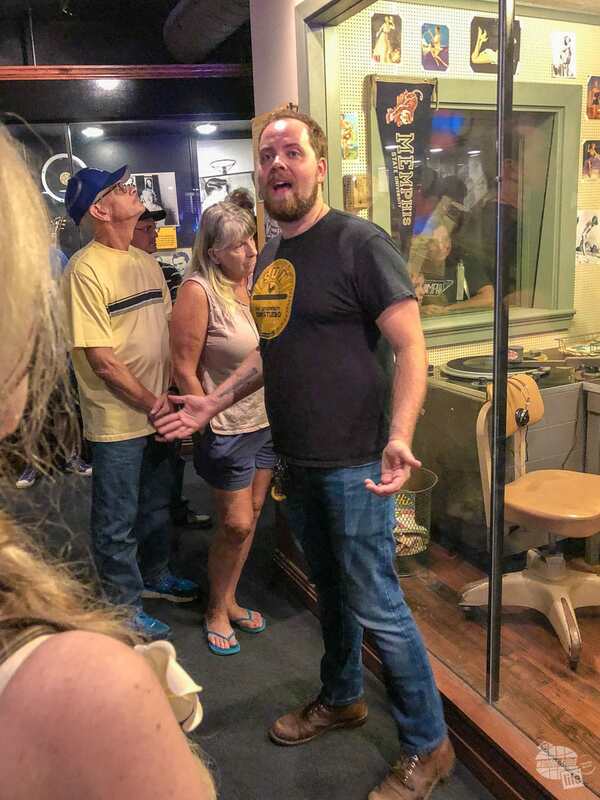 A visit to Sun Studio does require a tour, which run on the half-hour throughout most of the day. Your guide will hopefully be like ours, a musician by night and guide by day, sharing his or her love of music with energy and enthusiasm. The tour starts upstairs with a brief history of Sun Studio and its founder, Sam Phillips. The room is filled with music memorabilia, including the actual broadcast booth from the old Hotel Chisca. You may wonder why a DJ’s broadcast booth is important. This was the “home” of DJ Dewey Philips, who was the first to play a cut from Elvis Presley. And it’s a good thing he liked it. This particular DJ was known for shattering the record of any song he didn’t like so that no one would have to listen to it ever again! From here, you’ll head downstairs to the actual recording studio. In the studio, an X marks the spot where Elvis stood as he worked with Sam Phillips on his first recording. You’ll also find one of the microphones used by Elvis and many others. Our tour guide at Sun Studio, Geoff Smith, was fantastic! While the history is impressive, what I loved most is that this studio is still in use today. Yes, you’ll have to walk around the drum set left behind by U2, a piano and several other instruments in place for recording. Tours cost $14, take about 45 minutes and are first come, first served. Located just a couple of blocks off Beale Street, the Memphis Rock-n-Soul Museum tells the complete story of music in Memphis. Your visit starts with a 10-15 minute film that provides an overview of how rock and soul grew out of a shared love of music that overcame racial barriers. In particular, you’ll see how blues, country and gospel merged to create the music that vaulted Memphis onto the world stage. The Rock-n-Soul Museum had a great audio tour with plenty of great music to listen to. After the film, each visitor receives a headset and a small MP3 player which will allow you to tour the museum at your own pace. As you travel through, you’ll see various music memorabilia, read exhibits and listen to stories of your choosing. The digital audio tour guide includes more than 300 minutes of information (pick and choose among your particular interests) and 100 songs. This museum provides a good overview of the convergence and evolution of the various music genres. I especially liked the ability to pace yourself and choose the stories and songs yourself through the digital player. Tickets cost $12.50 for adults. You can also purchase a combo ticket which includes admission to the Memphis Music Hall of Fame. Unfortunately, we only had time for the Rock-n-Soul Museum. We spent about an hour here, which I think is a bare minimum. Memphis Travel bills Graceland as “the most famous rock-n-roll residence in the world,” which I would agree with. But, Graceland is so much more than just a house. Along with the house tour, you can tour Elvis’ automobile collection, his custom jets and other exhibits. But, yes, the house is definitely the main attraction and a must-see stop for anyone visiting Memphis. Even if you don’t care for his music, Elvis’ style is certainly something to admire (or at least gawk at). What I enjoyed most about the tour of the house was the step back in time, as the house is preserved in its 1970s decor. It truly was like stepping into an extremely opulent version of my grandparents’ house. 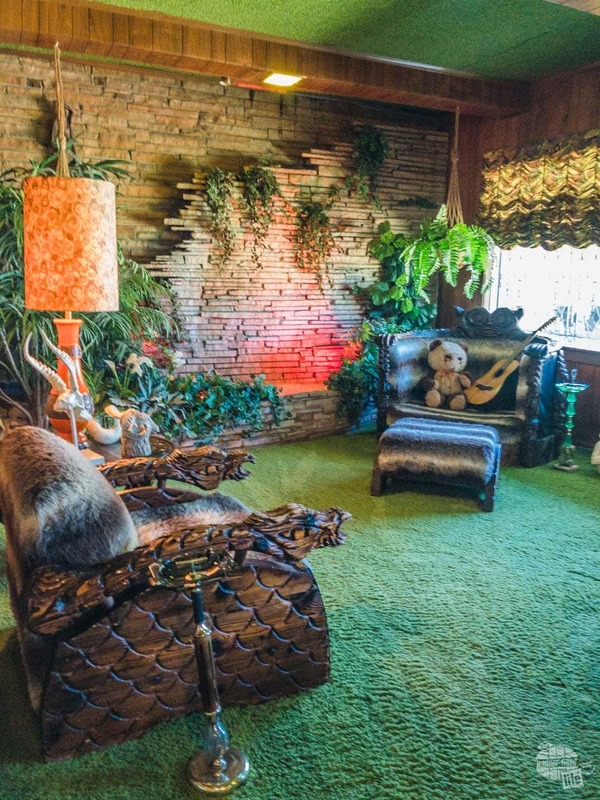 I can assure you, my grandparents did NOT have a jungle-themed room with a waterfall wall in their house! There are many tour packages available, from $39.75 for just a house tour to $169 for the Ultimate VIP tour. I would expect to spend at least an hour or two touring the house, airplanes and museums. Die hard fans could certainly spend several hours or even longer. You can read more about our visit in our Taste of Memphis article. 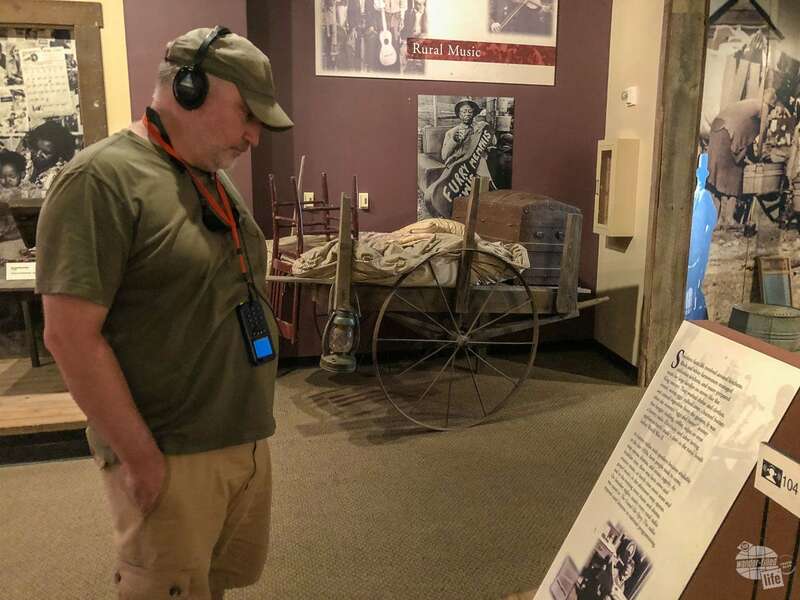 Even if you’re not a big history buff or you are really just interested in the music history, the National Civil Rights Museum is a must-see while in Memphis. Located at the Lorraine Motel, where Dr. Martin Luther King, Jr. was killed, the museum tells not only King’s story but the entire civil rights story. 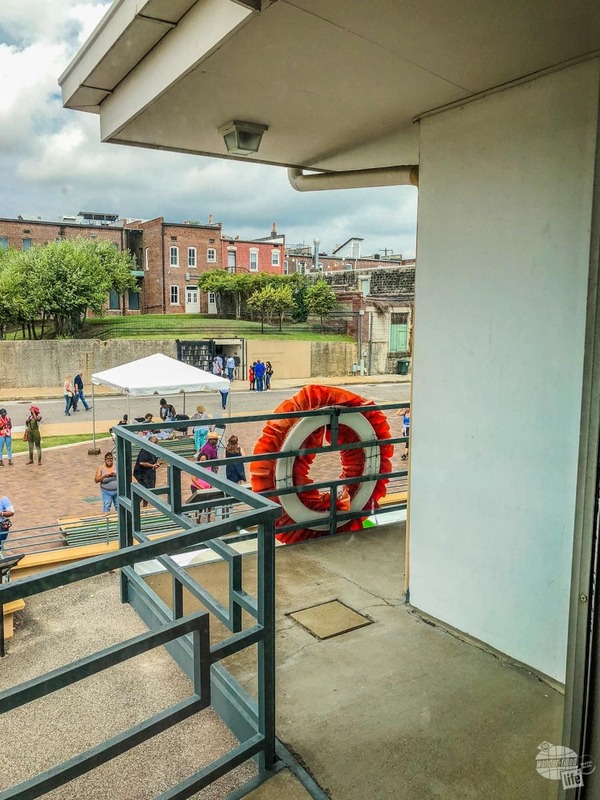 Dr. Martin Luther King Jr. was shot at the spot marked by the wreath. Currently (through December 2018), the museum begins with a special exhibit – MLK50: A Legacy Remembered. This exhibit provides an up-close look at King’s life and continued legacy. 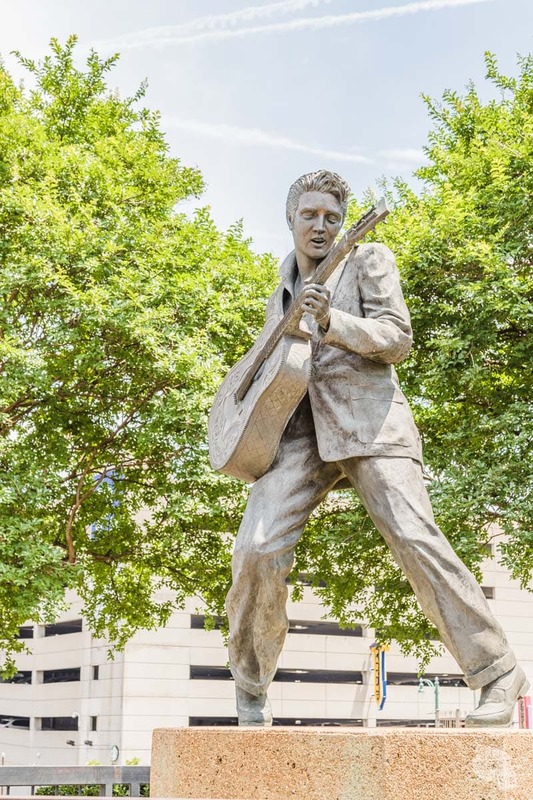 There is a bit of a focus on King’s work in Memphis, his work in the last two years of his life and the events in Memphis preceding his death. 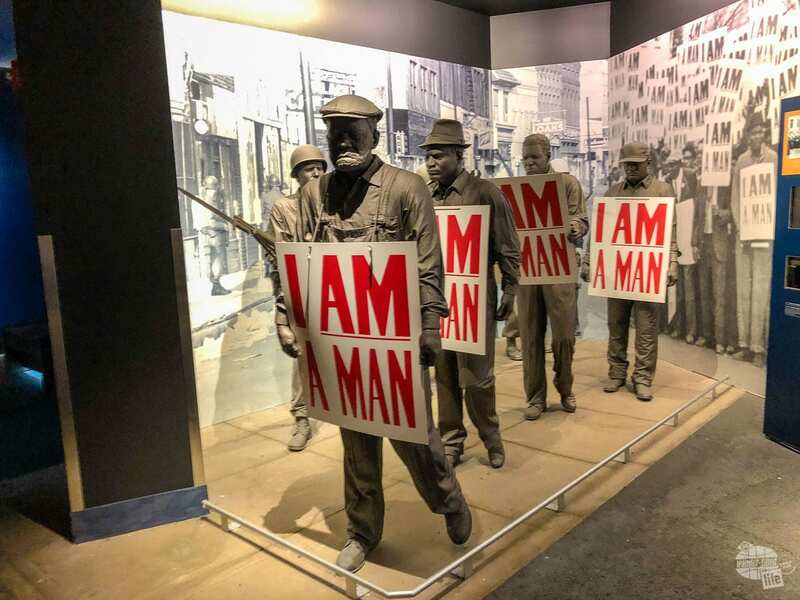 Additional exhibits throughout the museum cover slavery in America, Jim Crow laws, the Montgomery Bus Boycott in the 1950s, the student sit-ins and Freedom Rides in the 1960s, all the way up to the modern Black Lives Matter movement. The Legacy Building across the street houses exhibits on the investigation to find King’s killer and some of the conspiracy theories surrounding his death. Sadly, we did not have much time in this building. As you might imagine, the exhibits are both heartbreaking and inspiring. Much of what we saw was not new for us, but it was still interesting and moving to see the entire story altogether. We spent 2.5-3 hours and still felt rushed, especially at the end as we were trying to get to another appointment on time. I would allow at least three or four hours for this museum. Tickets cost $16 for adults. The museum is open 9:00-5:00, Wednesday – Monday (it is closed on Tuesdays). 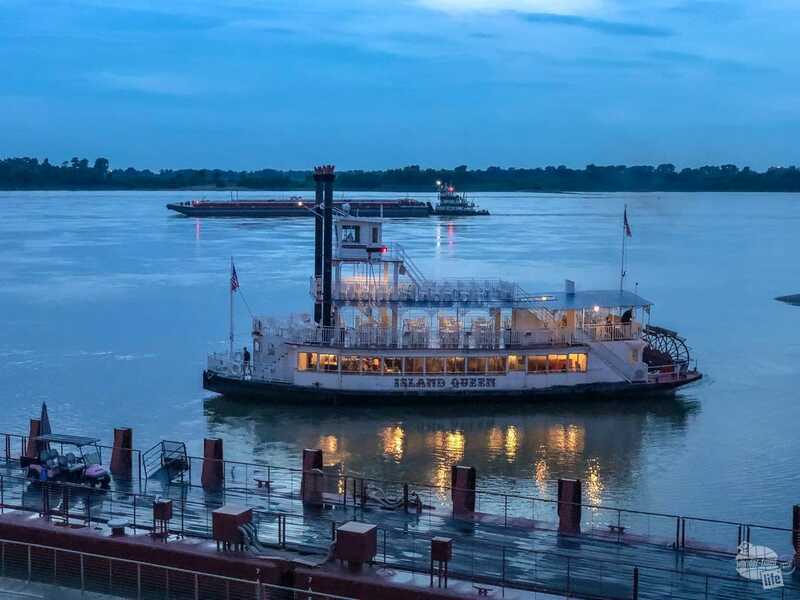 For an authentic American Riverboat cruise on the Mississippi River, you have two options with Memphis Riverboats: a 90-minute sightseeing cruise and a two-hour dinner and music cruise. 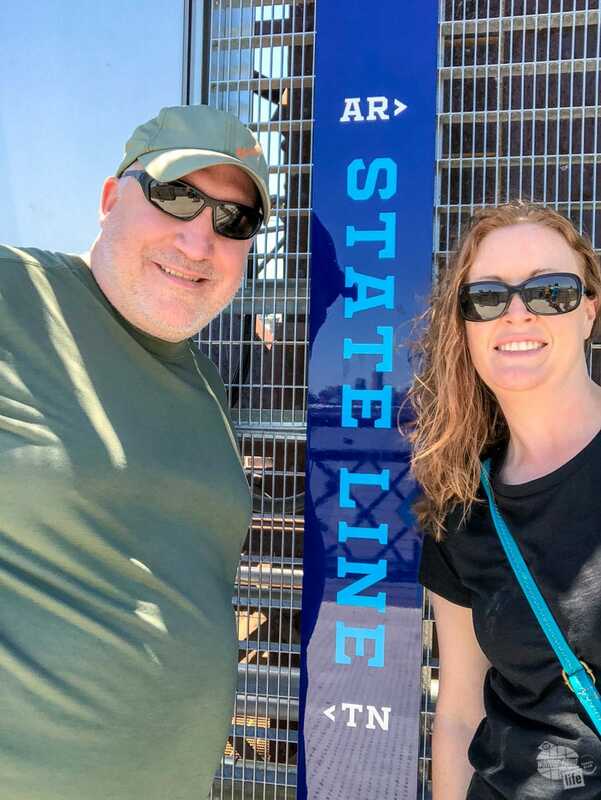 Both cruises take a paddlewheel boat up and down the Mississippi River, providing a nice view of the Memphis skyline and a bit of a history lesson. The Island Queen offers both afternoon and dinner cruises on the Mississippi. We considered both cruises but ultimately chose the afternoon sightseeing cruise. My first tip for this cruise: arrive early so that you can get a good seat! There are three levels onboard – the lowest level is all indoors, the middle level is mostly covered and provides some tables and chairs, upstairs has only a small covered area. The top level will provide the best views, but also has little shade or protection from the rain. We squeezed ourselves in at the front of the middle level but did have to move once it started raining. The lower level is where the concession stand and bathrooms are located, but we did not want to be taking pictures through the windows. 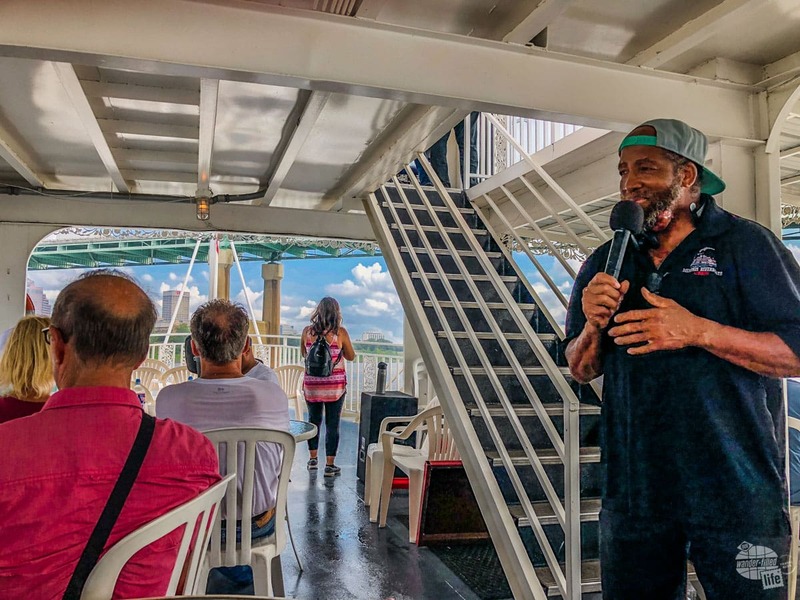 Our 90-minute cruise was narrated by a life-long Memphis resident and longtime riverboat employee who did a great job providing the history of life on the Mississippi River, the importance of the river and some information on the sights of Memphis. Our tour guide aboard the Island Queen was both informative and really funny. Tickets for the Sightseeing cruise cost $20; tickets for the Dinner cruise are $45 and include a barbecue meal, live band and a cash/credit bar. If you’re interested in seeing the Memphis skyline and don’t have the time or money for a Riverboat cruise, the Big River Crossing is a great option. As the longest pedestrian bridge over the Mississippi River, this is your chance to really work off some of the extra calories that I am sure you will eat while in town! Honestly, I am not a fan of bridges (I know, a great trait for a somewhat avid roadtripper). Thus, this is something that I both wanted to do and was terrified of doing! I may have had a death grip on Grant most of the time, but I made it across and back. I even managed to stop and somewhat smile for a picture at the state line. Yes – the bridge does provide the opportunity to stand in both Tennessee and Arkansas at the same time. The best part about the bridge? It is totally free! There is some parking available near the bridge entrance. You can also walk from the park along the river. The Memphis Pyramid was built in 1991 as a 20,000-plus seat arena. It was the home court for the University of Memphis men’s basketball program and housed the NBA’s Memphis Grizzlies for several years. Many other sporting events and concerts were held in the arena over the years. With plenty of live fish, ducks and alligators, the Bass Pro Pyramid is quite a bit more than just an outdoor shop. Sadly, the pyramid had flooding issues on its opening night and, ultimately, proved to not be a suitable arena for an NBA team. Due to the contract with the Grizzlies, the pyramid sat empty for several years until it was eventually leased to Bass Pro Shops for a megastore. And I can think of no better term for this than a megastore! The view of Mud Island and the Mississippi River from the top of the Bass Pro Pyramid is pretty spectacular. 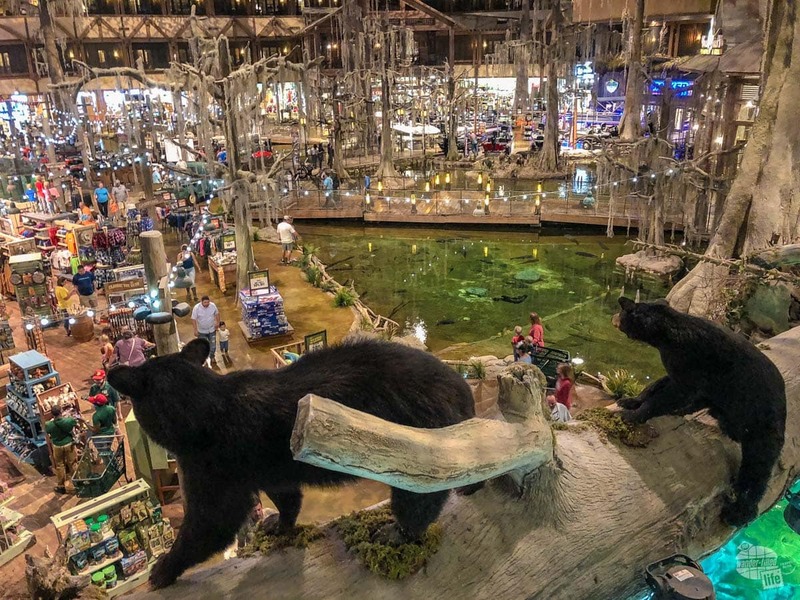 Inside the pyramid, you’ll find everything you would normally find in a Bass Pro Shop, plus a hotel, archery range, shooting range, bowling alley, saltwater aquarium, alligator exhibit and rooftop restaurant and observatory! The elevator to the top is the tallest freestanding elevator in the country. Yes, you could easily entertain yourself for quite a while here! We spent about 45 minutes here, but you could easily spend several hours or the better part of a day if you really wanted to. The restaurant at the top looked nice, and certainly provided a fabulous view of the Memphis skyline, but we did not eat there. 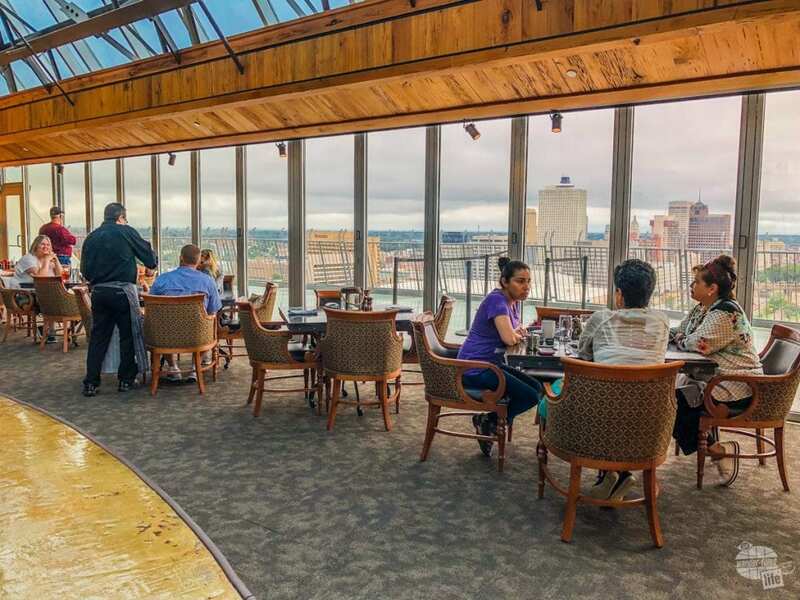 The Lookout Restaurant has an outstanding view of downtown Memphis. Entrance to the pyramid is free, but there is a $10 charge for the elevator to the lookout at the top. If you’re looking for nightlife in Memphis, Beale Street is where you will find it. 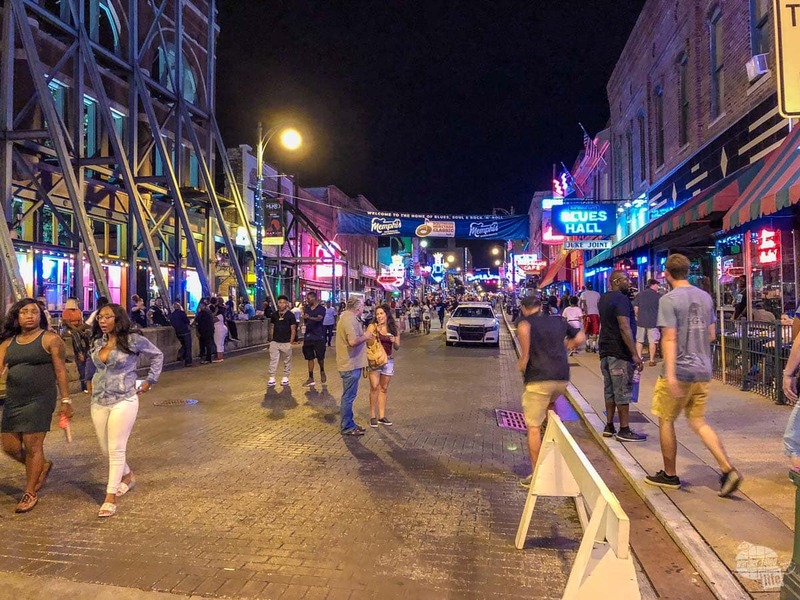 At night, Beale street lights up and the streets fill with locals and tourists alike checking out the music, dancing and drinks (and maybe a little food). Depending on the time and crowd-size, you may have to pass through a security bag check. Once inside, you have MANY venues to choose from where you can sit (if you’re early enough) and enjoy the music and atmosphere. Some restaurants/bars have a cover charge, but not all of them. After checking out all the options, we ended up at Alfred’s on Beale. We ordered a couple of drinks, then it was time to enjoy a fabulous Johnny Cash cover band, Gary Hardy and the Memphis 2. The drinks were a little pricey, but that was not unexpected. What was unexpected was that my cocktail, a Pink Flamingo made with Old Dominick Honeybell, was served with a tiny flamingo float! At least it was fun and the drink was tasty. Musically, all roads truly do lead to Memphis. Sadly, the weekend we visited was very rainy. While did not get any rain while on Beale Street, the crowds were still fairly light. We thought maybe it was just because we were a bit on the early side (8:00-9:00ish). But, we later learned that crowds are generally quite thick even that early in the evening. Still, we enjoyed the evening and, honestly, were not too upset over the low crowds. 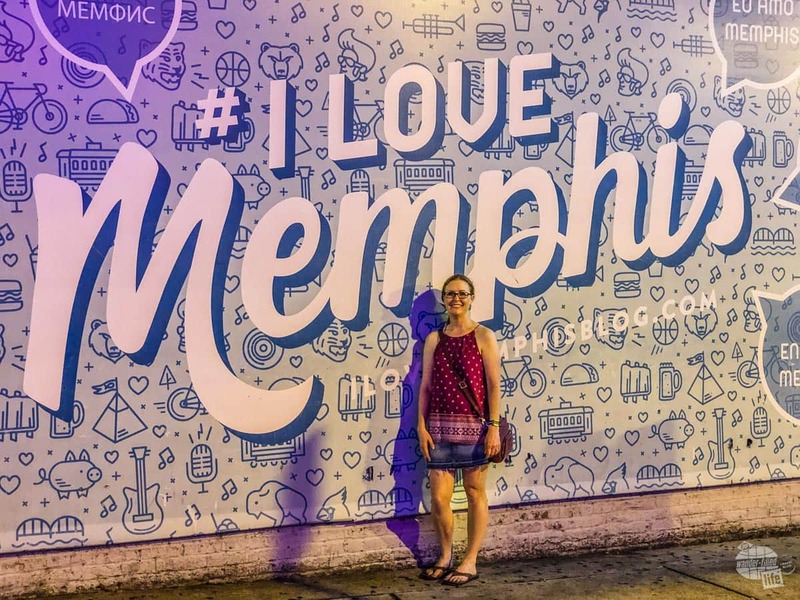 Some of the other attractions in Memphis that we did not make it to are Stax Museum of American Soul Music, Memphis Music Hall of Fame, Blues Hall of Fame, Gibson Guitar Factory and the Memphis Zoo. You can read more about all of them at Memphis Travel. There are plenty of murals throughout Memphis. 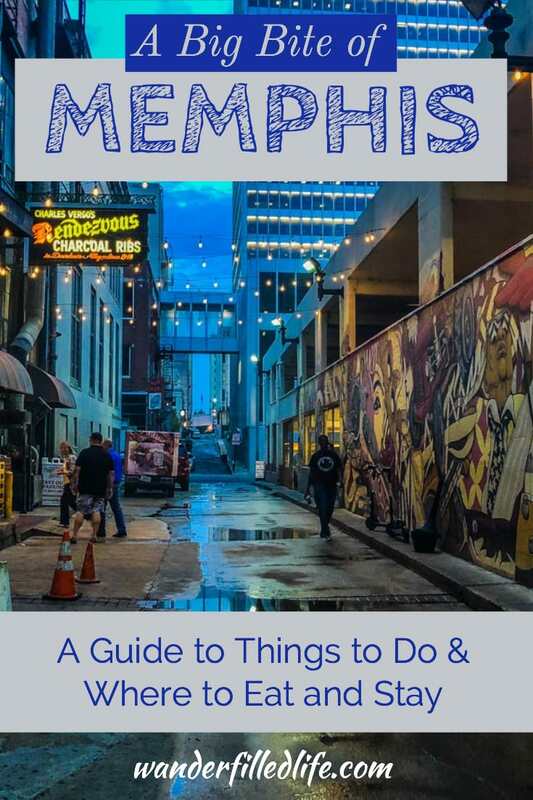 Seriously, there is a TON to see and do in Memphis. You can get a taste of the city in a weekend, but you’d need close to a week to really see and do everything. If you know us, you know that our travels are typically centered around national parks. 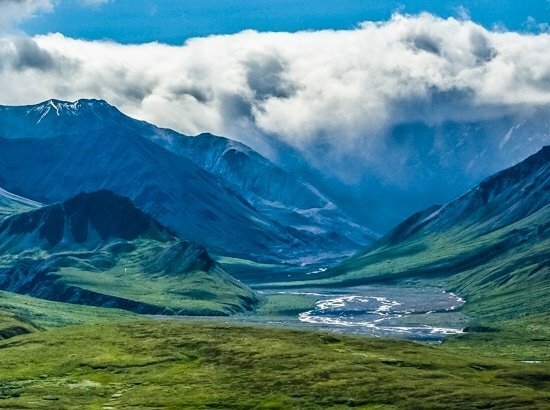 And not just the 60 official National Parks, but also more than 350 other historic sites, battlefields and monuments run by the National Park Service. 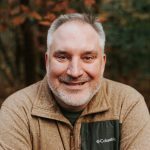 For those of you who are looking for National Park Sites, the closest one to Memphis is Shiloh National Military Park. Shiloh is located about two hours east of Memphis. If you’re up for the drive, you could visit Shiloh as a day trip from Memphis. While you could stop on your way to or from Memphis, the battlefield is quite a ways off the interstate and other major highways. Shiloh was the first major battle of the Western Theatre of the Civil War, fought for control of Pittsburg landing on the Tennessee River. It was a brutal battle, with more casualties than all of America’s previous wars combined. It is still the bloodiest single day in American military history. Begin your visit at the visitor center, where you should watch the park’s film for an overview of the battle and the site. You can spend as much or as little time as you want to explore the grounds. We probably spent a couple of hours total at this site, which we visited in the summer of 2017. 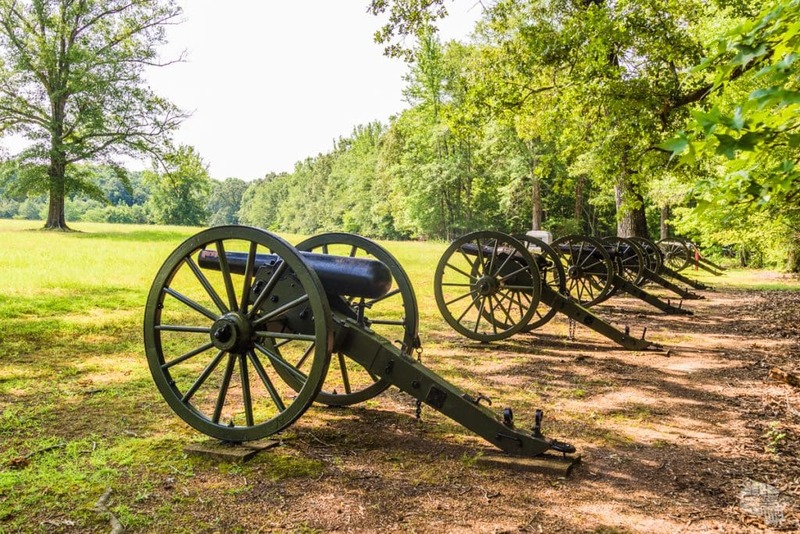 There is no entrance fee to Shiloh Military Park. Additionally, to the south in Tupelo, you can visit the Tupelo National Battlefield and Brices Crossroads National Battlefield Site, as well as the Natchez Trace Parkway. You can read more about Visiting National Battlefields and Forts here. Most folks probably know that Memphis is known for barbecue, in particular, dry rub ribs. I have to say, while the barbecue is outstanding here, there is a lot of other great food as well. So, as you’re packing for Memphis, be sure to through in some pants with a stretch waistband. Chances are, you’re gonna need the extra space! 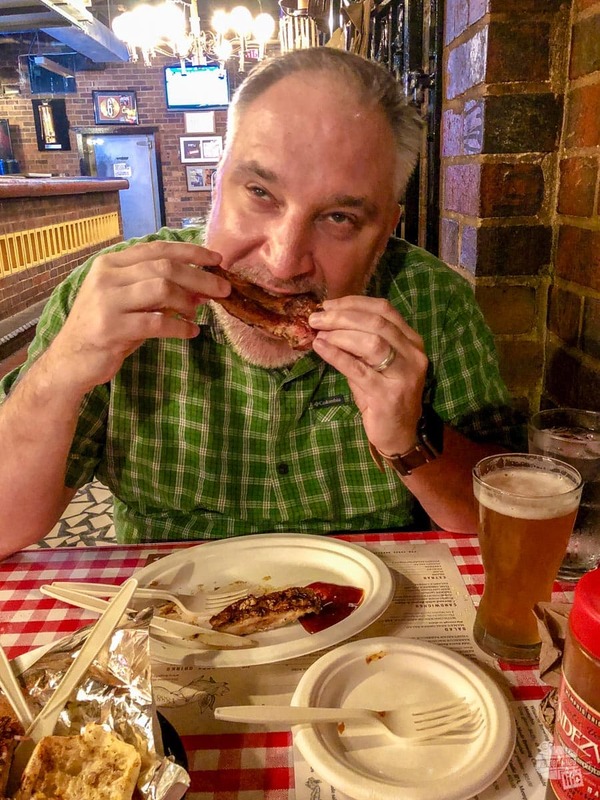 Dating back to 1948, Charlie Vergos’ ribs set the standard for “Memphis style” barbecue ribs. And while the ribs are spectacular, the rest of the menu at Rendezvous isn’t too shabby: charcoal-grilled chicken, salads, and mouth-watering sides prove that this isn’t just a rib shack. The pulled pork BBQ nachos from Rendezvous Barbecue. We arrived for dinner around 6:00 on a Friday night. Somehow, we managed to get a table immediately. Although, once I walked in and saw just how big the restaurant is, it really wasn’t that surprising that we did not have to wait. Grant, of course, wanted the ribs. I don’t particularly like any kind of meat on a bone, so I opted for the grilled chicken. And we split the barbecue nachos as an appetizer. 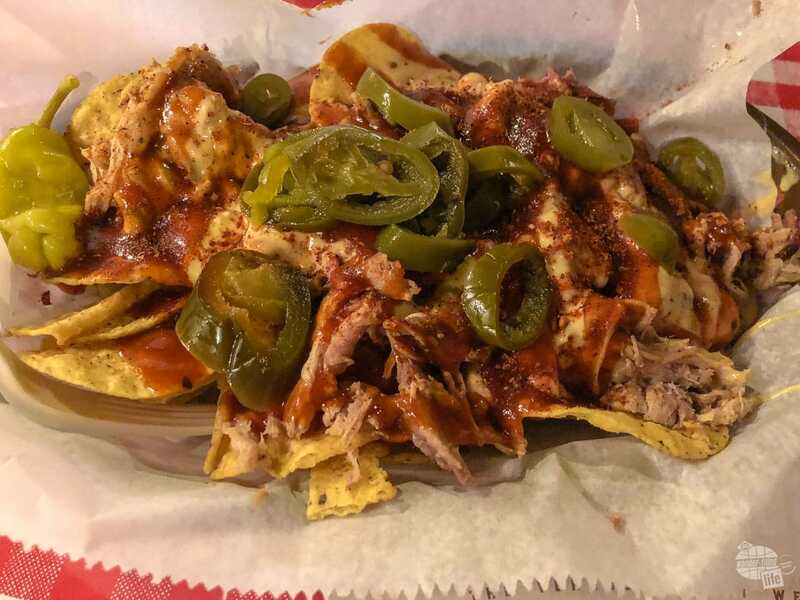 If you’ve never had barbecue nachos, you have to try them at least once while in Memphis. I promise you won’t be disappointed. If I’m being honest, the baked beans were a tad sweet for my taste, but Grant loved them. The cole slow, though, was the real winner in terms of sides. It had a mustard-vinegar twist that kicked up the flavor just enough to be unique and interesting. Grant love the ribs at Rendezvous! 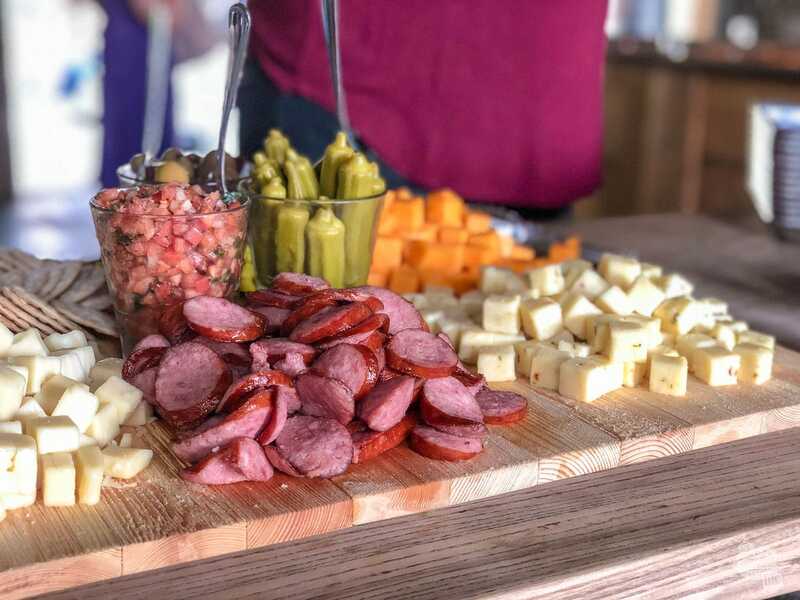 The menu offers a little something for everyone, from ribs, beef brisket and chicken to salads and meatless red beans and rice. And if you have a large party, considering calling ahead (24 hours) for the skillet of shrimp – five pounds of barbecue shrimp delivered right to your table. And for those that just can’t live without all this tastiness back home, you can get the ribs, pork shoulder or BBQ nachos kit delivered to your door! 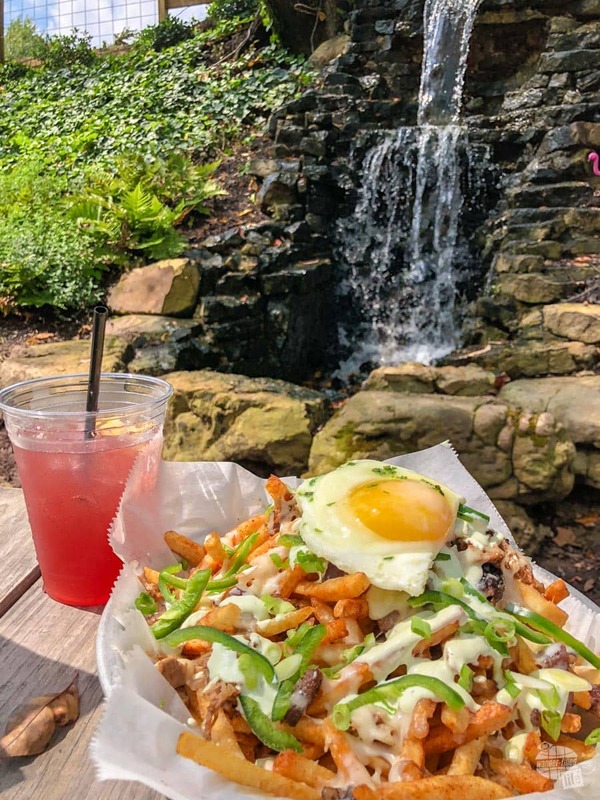 Memphis is home to several eat, drink and play-type of restaurants, with Carolina Watershed being just one of them. We arrived on a Saturday afternoon to a crowd full of Mississippi State fans enjoying the game around the bar, which is housed in an old silo. 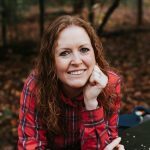 Since we wanted to actually have a conversation, we headed outside to the “backyard,” where we found picnic tables, small man-made waterfall features, a small stage for live music and a couple of corn hole boards. On the weekends, brunch is served 10:00 am – 3:00 pm. Here, you’ll have a choice of southern classics like biscuits & gravy, steak & eggs and chicken & waffles. Some more unique offerings include loaded pulled pork cheese fries, charred romaine salad and braised short rib potato hash. The signature cocktails include the TN Waterfall, made with George Dickel Tennessee whiskey and a Memphis Mini, made with gin, raspberry liqueur and a splash of champagne. Both were tasty and refreshing on a hot and humid southern summer afternoon. But, the most “Memphis” part of our meal was when a small band came marching in, through the yard and to the stage. 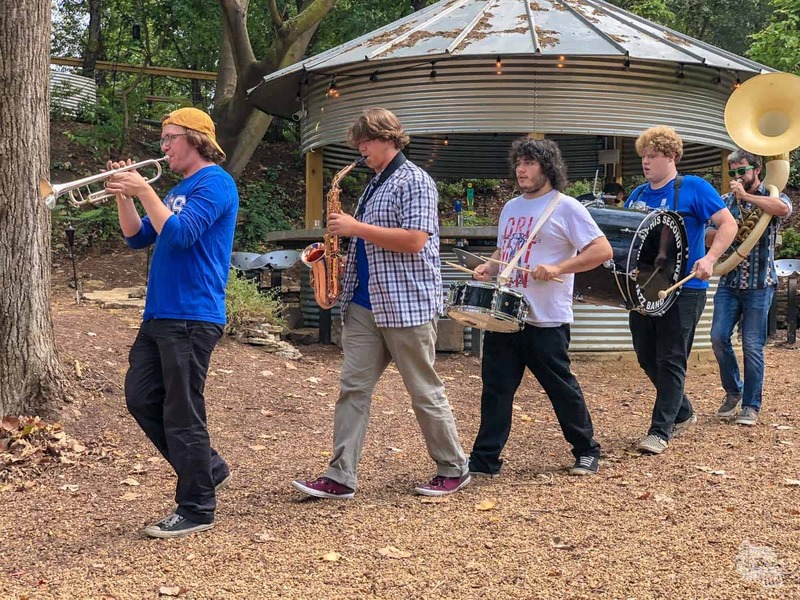 The six-piece band included a saxophone, trumpet, trombone, sousaphone, snare and bass drum. Yep, as a former marching band member, I loved it! If you’re looking for someplace relaxing and just a little bit different, Carolina Watershed is a great option! Perhaps one of the most unique concept-restaurants we’ve ever been to, Flight Restaurant & Wine Bar is the top-rated restaurant on TripAdvisor for good reason. Before I go any further, if you’re headed to Memphis and willing to splurge a little on a nice meal, make a reservation for Flight now. You’ll be glad you did. Bonnie ordered the salad flight and a flight of wine. Flight offers a twist on a typical tapas-style restaurant by offering most every dish in a three-plate (or glass) flight. Thankfully, all dishes are also offered in entree size and the flights can be mixed to fit your liking. 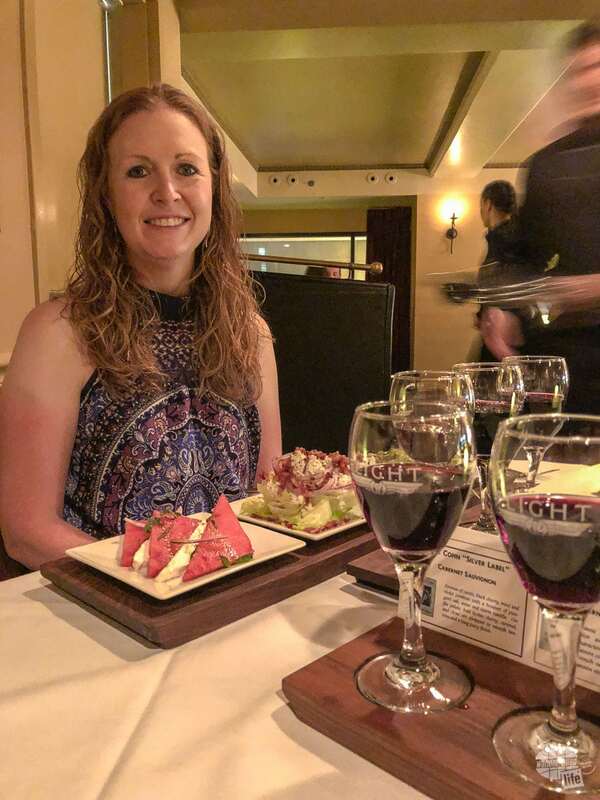 I started with a salad flight, which included a harvest salad with mixed greens and goat cheese, a traditional Iceberg Wedge and a watermelon and feta salad. While each portion was fairly small, I was nearly full just on the salad alone! Thankfully, I predicted that after three salads I would not need a large entree. While it was delicious, the small plate of the Boursin Stuffed Filet was all I could eat. This was truly one of the best-prepared steaks I’ve ever eaten – the flavors were perfect and the chef perfectly hit my requested preparation of medium. 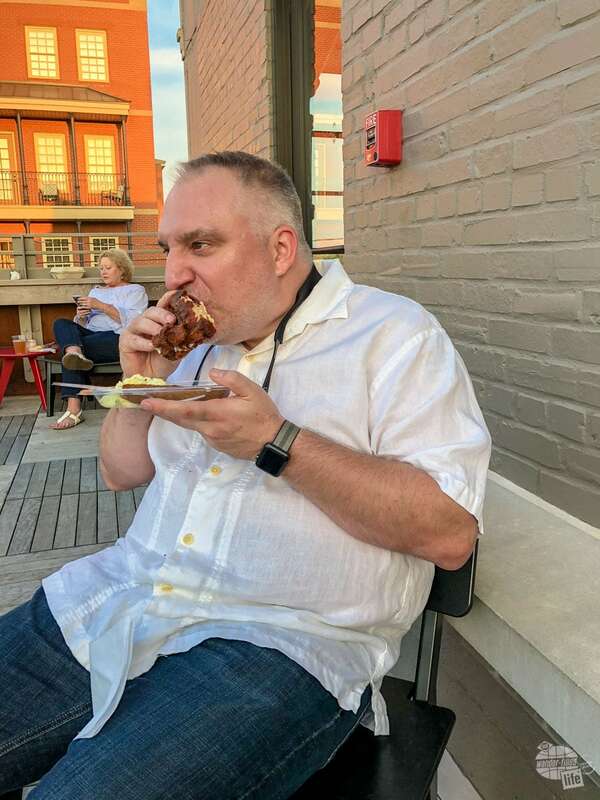 In true fashion, Grant passed on the salad/appetizer course and held out for meat! 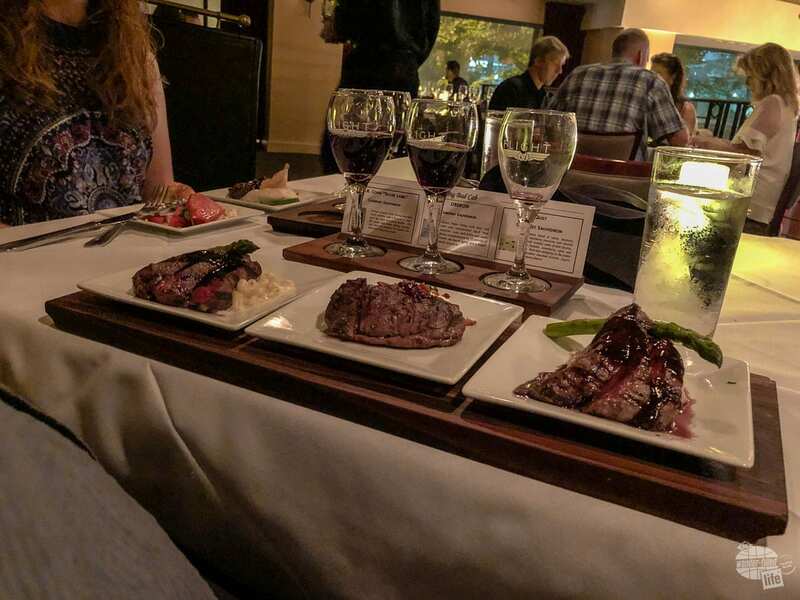 He did make one substitution on the Steak Flight, so his meal consisted of Elk Tenderloin, Bison Ribeye and Wild Boar Tenderloin. Each plate had its own character and he particularly enjoyed the wild boar. The wine list at Flight is extensive – you shouldn’t have any trouble finding something you like, especially with the flight options. Grant had a flight of steaks from elk, wild boar and bison. Sadly, we did not try dessert as we were too stuffed from our dinner. Instead, we had the Award Winning Bourbon flight. Overall, this was a great meal and the service was just about perfect. The only thing I would do differently if visiting again is to make a reservation farther in advance. We only discovered this restaurant on our way to Memphis. With only one day’s notice the earliest reservation we could get was at 9:00 pm. For folks who typically eat dinner about 6:30, that was definitely too late for us. But, we enjoyed the meal and would recommend Flight to anyone visiting Memphis. 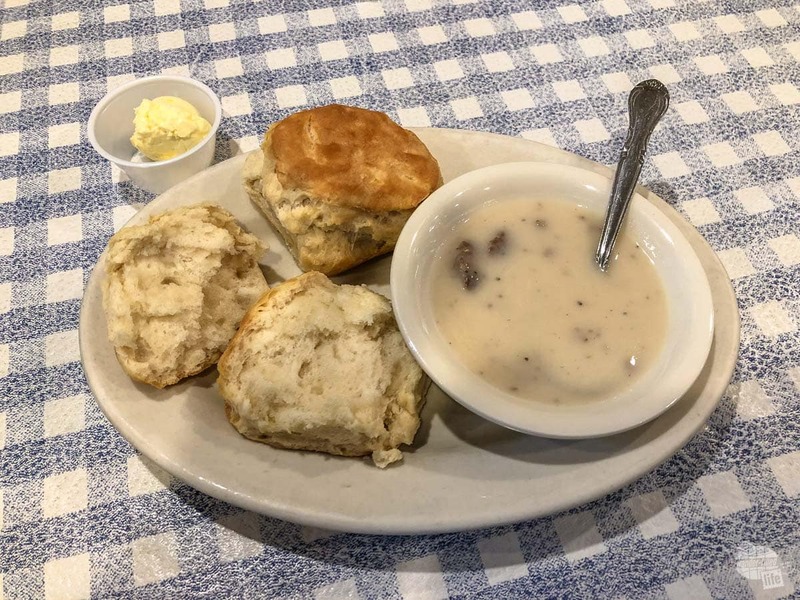 If it’s traditional southern food you’re looking for, Blue Plate Cafe is a good option. We went for breakfast about 10 a.m. on Sunday morning and were pleasantly surprised to not have a wait. The restaurant itself is showing its age a bit, with torn cushions on the booths and faded tablecoths. Biscuits and gravy at the Blue Plate Cafe. Breakfast options are standard – pancakes, French toast, omelets, and all the traditional sides of bacon, sausage and biscuits. I chose the Cinnamon Raisin Pecan pancakes and Grant had the two egg plate, which was served with biscuits and gravy and hash browns. The pancakes were light and fluffy, with a good taste, though I don’t think I ever found a raisin. Grant’s meal was good, but nothing exciting. In particular, the sawmill gravy was a little thin and the coffee was a bit weak as well. Overall, the meal was ok, but I don’t know that we would return here for breakfast. As mentioned previously, when we were in town the first time for our conference, we really got a great taste of Memphis. During that time, we visited Central BBQ and Old Dominick’s Distillery, which included a dinner catered by Gus’ Fried Chicken. I would say that all three of these establishments are a must for any visit to Memphis. Seriously, I cannot say enough good things about all of them. 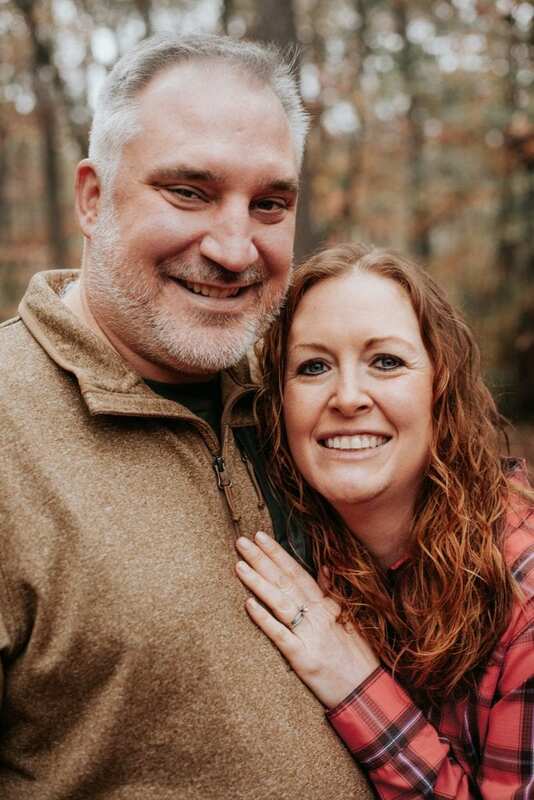 We also visited Loflin Yard and Railgarten, which are both similar to Carolina Watershed in that they boast a large outdoor space with games for both adults and children. You can get more information on all of these restaurants in our Taste of Memphis article. Memphis is a very walkable city. Most everything is located in downtown, within walking distance of each other. A few attractions are a little far out, such as the Bass Pro Pyramid and Sun Studios, but even those are within about a mile of the central downtown area. 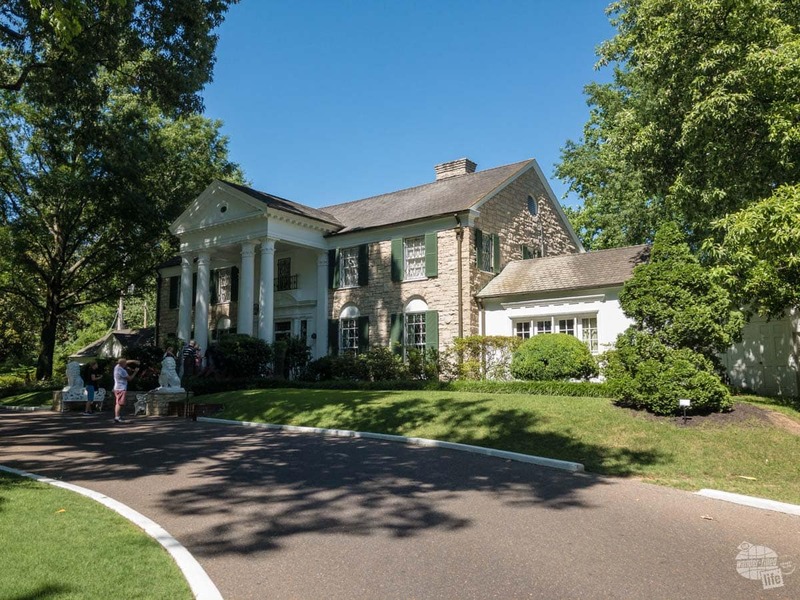 Graceland is the one attraction (that we’ve covered) that you definitely cannot walk to. There is a free shuttle that runs between Graceland, Sun Studios and the Rock-n-Soul Museum. Seating is limited and is only available on a first come, first served basis. Also, the day we were in town the shuttle was not running. Should you need transportation, you should be able to get an Uber or Lyft without too much difficulty. Based on the compactness of the city, I would certainly suggest staying in Downtown. Sure, you’ll likely pay a little bit more, but the convenience will be more than worth it. And, honestly, parking is not always easy. 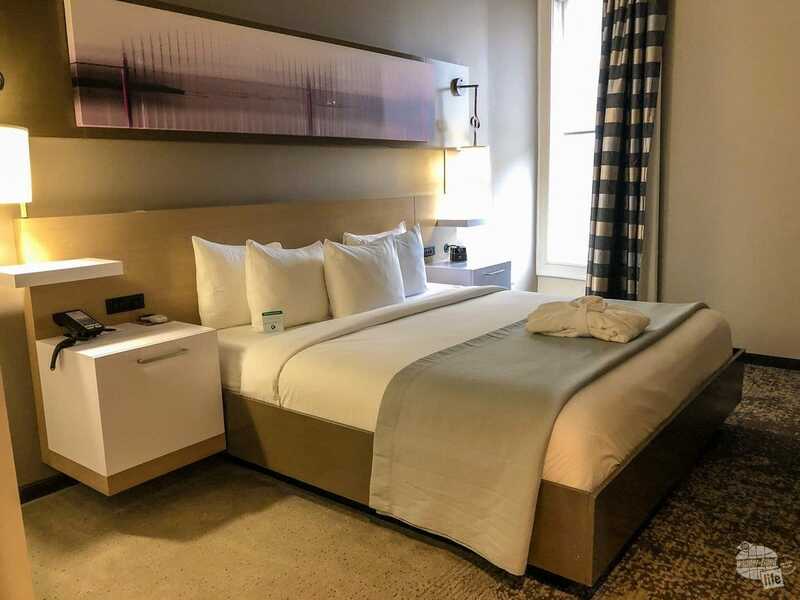 For modern elegance in the heart of downtown, Hotel Napoleon is a great option for both business and leisure travelers. 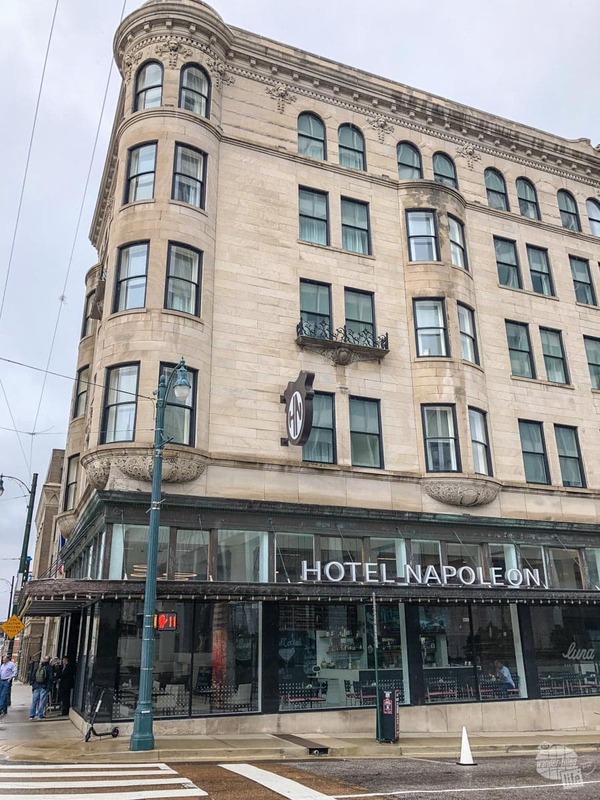 Hotel Napoleon is a boutique hotel whose modern interior is in stark contrast to the historic Winchester building, dating back to 1902, in which it is located. The lobby area is not huge but does provide a small sitting area and a bar/restaurant. Upstairs, you’ll find the rooms to be spacious with a desk and a large bathroom. Overall, we found the hotel to be comfortable and well-located. Seriously, once we parked the car upon our arrival on Friday afternoon, we didn’t get into it again until we left on Sunday morning. Yep, we were able to walk to the Civil Rights Museum, Beale Street, the river and much more from the hotel. Our room at the Hotel Napoleon was modern and spacious. My one tip here: don’t grumble about the $28 valet parking fee. Unless you are willing to walk a ways, you likely will not find anything significantly better. If it is Southern ambiance you want, look no further than The Peabody. The large lobby and bar are perfect for relaxing with a drink. And, of course, the hotel is home to the Peabody Ducks! Seriously, you better like ducks if you are going to stay here, because everything is about the ducks. 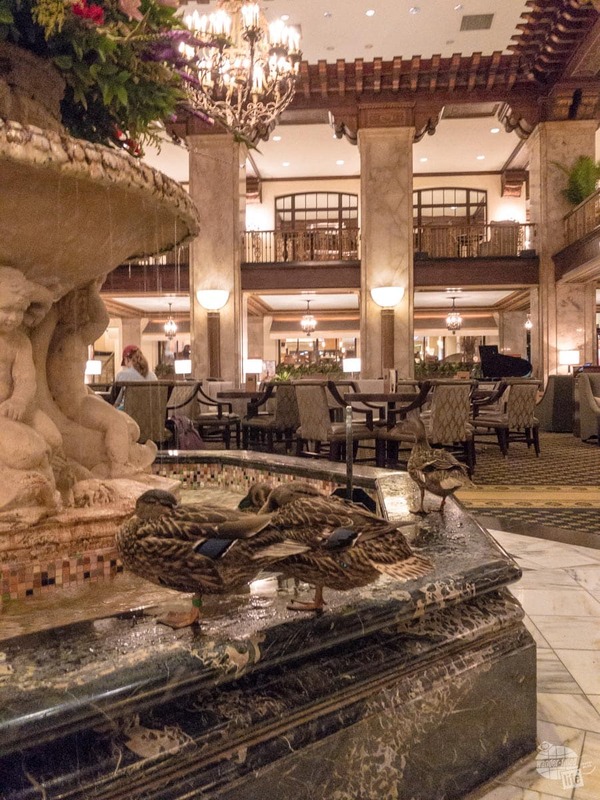 Ducks in the fountain in the main lobby of the Peabody Hotel in Memphis. The ducks march in and out every day to much fanfare. Even if you don’t stay here, stop by to watch the ducks come down to the lobby. Or, for a less crowded view, head back up to their rooftop condo, via the elevator. The Duckmaster leads the duck parade daily at 11:00 am and 5:00 pm. 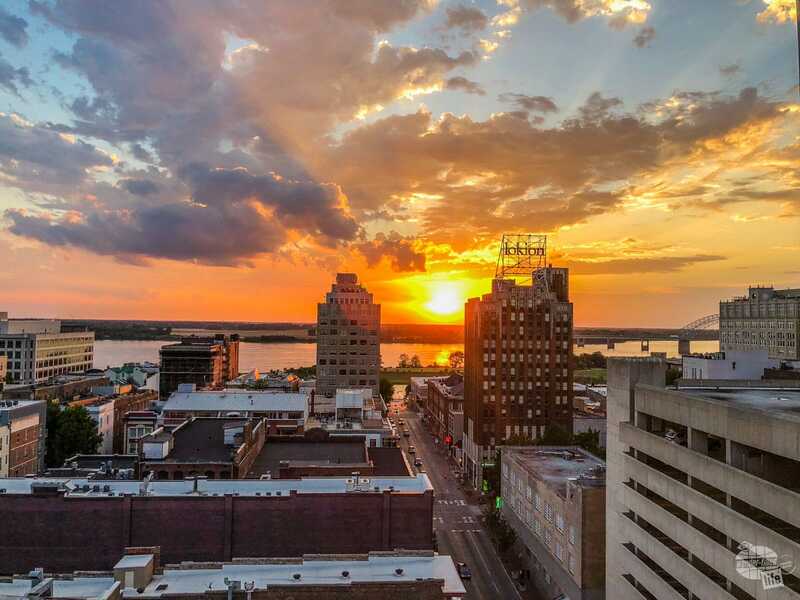 We always love our Hilton properties and Memphis has a lot of them. Previously, we have stayed at the DoubleTree Memphis Downtown for a quick overnight and loved it. We would certainly stay here again and most always recommend Hilton properties anywhere you go. 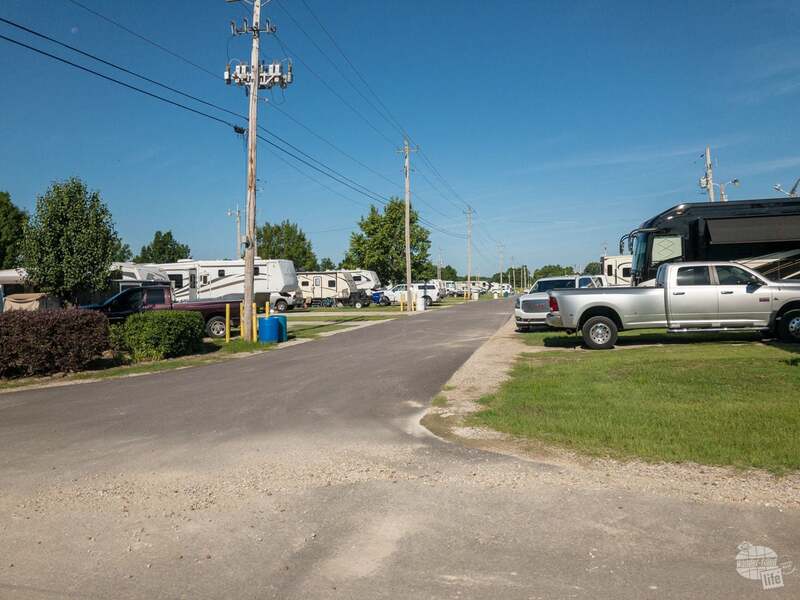 If you are camping, check out the RV Park at the Agricenter. It is located about 20-30 minutes outside of downtown, but there is plenty of dining and shopping nearby. We found the campground to be quiet, safe and most sites were level. The only downside to this campground is not a lot of shade. After two trips of actually exploring the town, we have completely fallen in love with Memphis. It is a nice mid-size city that has all the offerings of a large metropolitan area without all the sprawl and congestion. 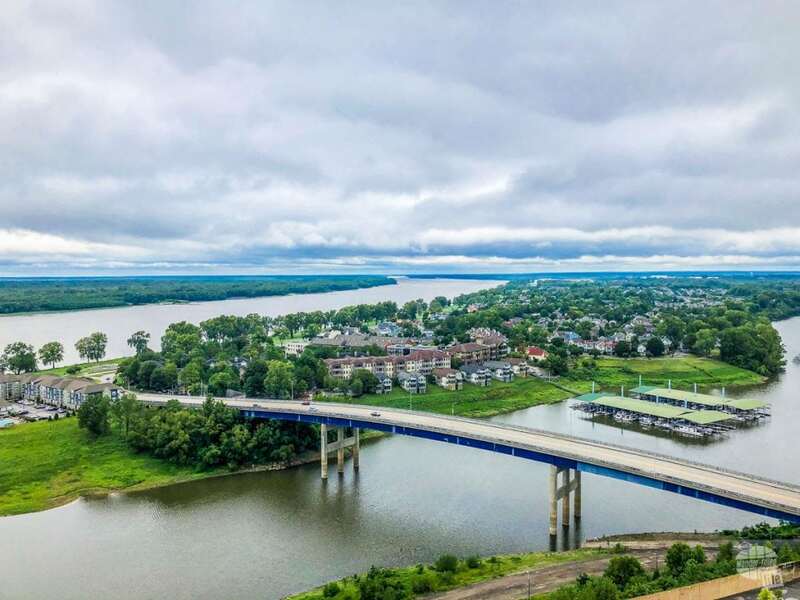 With the music history, famous mouth-watering barbecue and adventure on the Mississippi River, you can find a lot of charm packed into this one relatively small town. One thing is for sure, Memphis is no longer just a good place for us to cross the Mississippi River when heading west. It is a destination all of its own and certainly worth a visit. I have a feeling that we’ll be back for more, even if it is just more ribs and fried chicken! 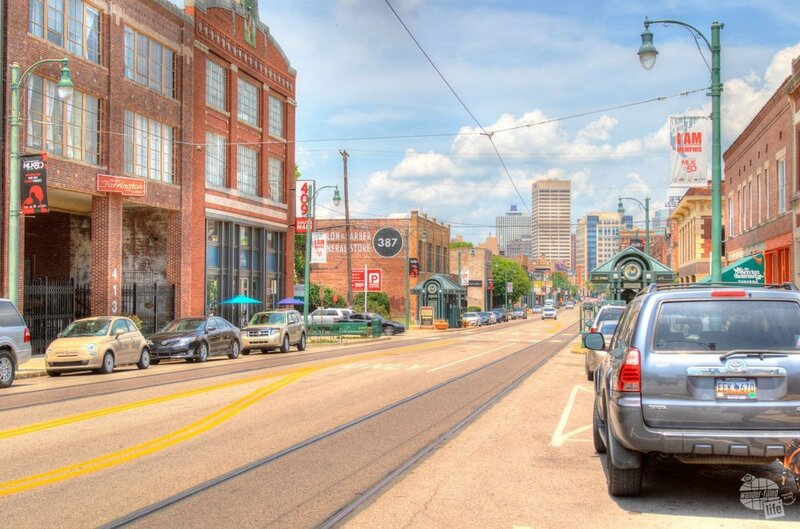 If you haven’t spent a weekend in Memphis yet, we suggest you plan one soon. You may even want more than just a weekend. Thank you to Memphis Tourism, who sponsored a large portion of this visit to Memphis, including the hotel stay and attraction tickets. As always, all opinions expressed are our own. Oh, man! I’m starving just thinking about all the great food in Memphis! So cool that you guys got to go back for another shot! We loved every minute of it! We just knew we had to go back because our time on our first trip was so short.